Malaysia is a federal constitutional monarchy that is located in Southeast Asia. The country is separated into two regions – the Peninsular Malaysia and East Malaysia, further consists of 13 states and 3 federal territories. The country’s Emergency Medical Services (EMS) is on the process of development. They implement an emergency hotline: 999 for government ambulance services such as the Ministry of Health hospitals, St. John Ambulance and Malaysia Red Crescent; while the hotline 991 is for the Civil Defense. In the whole of Malaysia, there were 793 ambulance services reported in year 2010. 85% of which is from the public service, reflecting 169,129 emergencies attended by the ambulance service in the country. Further, a ratio of 0.28 ambulances per 10,000 populations was noted, however, far from the standard of 1 ambulance per 10,000 residents. The hotline 999 can be called anywhere in the country, but it is recommended to be familiar with various hospital numbers and other private ambulance services as well. They also implement various ground ambulance hotlines per area such as in Johor (+6072219000), Kedah (+60194803042) and Kelantan (+60199065055). Also, the country’s air ambulance services are provided by the Royal Malaysian Police, Armed Forces and Malaysian Helicopter Services. In times of disaster, the residents may call the hotline 991. The rescue group was established by the Malaysian Civil Defense which functions as a special government body to aid in all emergency and disaster events in the country. One significant event in Malaysia was in year 2006, where it was hit of a tsunami that led to about 400 casualties, 88 of which were deceased. The early warning systems and lifeguards were able to warn the public to stay indoors. The Emergency Medical Services in Malaysia dole-out 3 types of pre-hospital providers actively serving for their emergency services. They have Medical Assistants/Emergency Medical Technicians that have undergone a 120-hour of training courses and are able of providing CPRs and medication administrations. Further, they also distribute Advanced Life Support Officers that were provided of 2635 of training course and are able of administering intravenous fluids and adrenaline. However, it was reported that the standardization on the education requirements for Emergency Medical Services providers is missing. All clients will be transported through the country’s new modular vehicles equipped with Basic Life Support and Advanced Life Support facilities. It includes portable ventilators and ultrasound, which are manned by trained doctors and support staff. Their emergency ambulances were used for inter-facility transfers; however their equipment provision relies on the annual budget of the emergency department that mans the ambulance services. The burden is on the shoulders of the emergency department which may result to development struggles. A country’s structure on distress call (or distress signal) is an important part of its Disaster Risk Reduction Management. It is an internationally distinguished means of a cry for help. It is communicated in various ways such as through automated radio signals, where it displays a visually discernible item or illumination, or through the creation a sound audible from a distance. The distress call should notify a distress that is in progress as well as its position of distress. In Malaysia, the Kuala Lumpur Hospital (HKL) receives emergency calls through their Emergency Coordination Center. As part of the government’s initiative in improving their disaster management, anyone in distress may call the uni access number 999. The center is an innovation of HKL’s trauma and emergency department head Prof Datuk Dr. Abu Hassan Asaari Abdullah which receives an average of 150 calls daily. Further, the center is operated by five staff per duty and utilizes a computer-aided dispatch system. The staffs are called Advanced Emergency Medical Dispatchers and are certified by the International Academy of Emergency Medicine. Once a 999 call is taken, it is directed to the hospital where a medical dispatcher talks with the caller and assists them through a PRO Quation and Answer Emergency Dispute Protocol. Further, the medical dispatcher will then ask for information regarding the distress such as the location, nature of emergency, current situation and type of help needed. These information will then be relayed to a medical response team. The system includes 33 circumstances where a medical dispatcher can assist the caller while the ambulance is being dispatched. 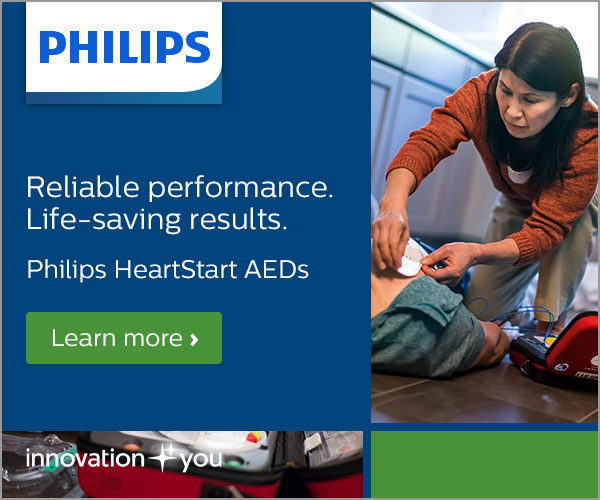 It may encompass cardiopulmonary resuscitation (CPR) administration and assistance in events of severe bleeding or choking. 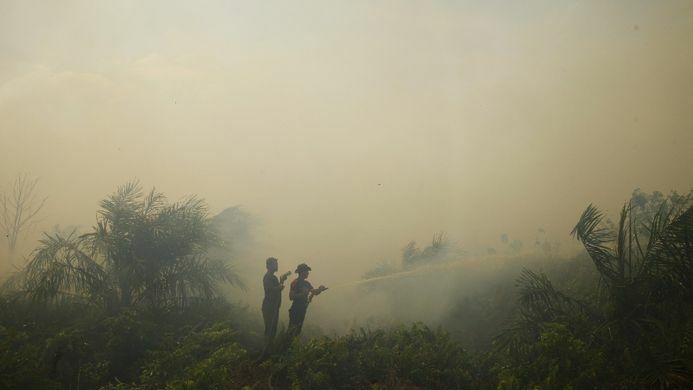 According to the HKL medical emergency coordination center coordinator Dr. Sarah Shaikh Abdul Karim, the institution was able to assist people in need of help through telephone call while an ambulance is yet to arrive the location of distress. It is also noted that callers becoming irritated from questions is quite common; however, these questions are needed in order for the emergency medical dispatchers to assist more effectively. The caller is triaged by the medical officer according to the severity of their emergency. 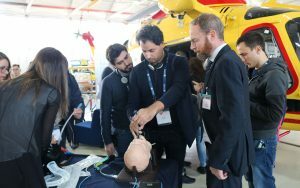 They categorize an event according to the seriousness of the situation – whether it is life threatening and whether the patient is critically-ill, semi-critical or non-critical. It is done in order to maximize and efficiently use their resources since the institution also face insufficient personnel. Ambulances are classified in three categories – Class A, the type of ambulances dispatched by HKL is equipped with advanced life trauma support; Class B is the common ambulance for trauma cases; and Class C is the type of ambulance commonly used for transferring patients. The system also boasts an Emergency Motorcycle Squad that is dispatched for life-threatening conditions, such as a heart attack, so that fast action is provided while waiting for an ambulance to arrive. Malaysia has prepared a Five Year Malaysia Plan that corresponds to the country’s plan on economic development. It encompasses preparation to improve their agriculture and urban standing including their Disaster Risk Reduction (DRR) division. The National Security Council (NSC) directs the disaster management in accord with the country’s Directive No. 20, the Policy and Mechanism on National Disaster Relief and Management. It also assists the activities that are executed by the Disaster Management and Relief Committee which covers various federal, state and local agencies. The upcoming National Disaster Management Agency will manoeuvre the same operations as with the NSC. With Malaysia’s National Platform involving different stakeholders across the government and private divisions, resources to curtail risk factors were provided and a sustainable development became possible. On the other hand, Malaysia’s Five Year Plan (2016-2020) aims to strengthen disaster risk management focusing on prevention, mitigation, preparedness, response and recovery. 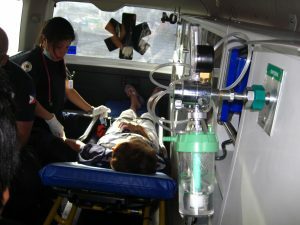 The Emergency Medicine and Trauma Service (EMTS) is seen as the frontline and a critical service of Ministry of Health (MOH). It is a specialty domain that offers clinical area to a wide range of cute medical infirmities, illness or injury. This involves the provision of emergency medical care that includes diagnostic, resuscitation and stabilization components and life saving interventions. Further, it includes pre-hospital and hospital-based medical care, advocates client focus care that is holistic and total in nature. Customers and functional register assumed by the national EMTS do not differ much from its contemporaries in most parts of the world. 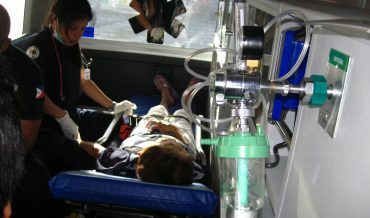 Therefore, the construct and function of the Malaysian Emergency and Trauma Department is expected to discharge roles for the management of patients in paediatrics, mental health, major trauma, domestic violence and sexual assault victims, as well as contagious patients and patients for pre-hospital care and transport. The policy document covers various key areas of Emergency Medical Trauma Services such as organization, scope and service system, resources including components of human, physical, structural and hardware, and the human capital training and planning. The policy aim to provide a prompt, accurate and definitive emergency medicine and trauma care services, as well as an integrated and comprehensive care that boost the functionality of its services. Further, the policy intends to put system with the pre hospital care and triage system by sorting out various management codes. Intracerebral Hemorrhage (ICH) is a life-threatening type of stroke that involves bleeding within the brain tissues. A stroke arises when the brain doesn’t receive enough blood supply and oxygen, which may be brought by head trauma, hypertension or blood clot formations. These events, such as on hypertension, puts high pressure on the tiny arteries that supply blood and oxygen to the brain. 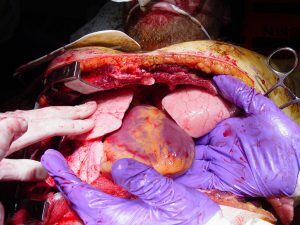 Too much arterial pressure makes these arteries rupture and eventually blocks blood supply, leading to cell damage. This is a medical emergency that requires immediate management which may involve medications, surgery, or simple interventions to reduce blood pressure; however, the effect of blood pressure lowering to ICH is not fully known. The study of Anderson, C. et. al. (2013) assessed the efficiency of intervening ICH through rapid lowering of blood pressure where it involved the participants’ demographic and clinical features. On the other hand, the sternness of their stroke was assessed through Glascow Coma Scale (GCS) and the National Institutes of Health Stroke Scale (NIHSS) recorded baseline, at 24 hours and at 7 days or at the time of their hospital discharge. During assessment of baseline data, CT scan of the brain or MRI was done in order to confirm stroke which is in line with the existing standard technique. Further, at 28 days or 90 days, the patients were followed-up either by telephone or in-person by a trained local staff unaware of the group assignments. Those patients who were unable to receive the supposed treatment or were unable to adhere with the guidelines were followed up in full, as well as their information were incorporated in the investigation according to the ‘intention to treat’ principle. In the study, the researchers had randomly assigned 2839 patients who had history of spontaneous intracerebral hemorrhage within the previous 6 hours and who had elevated systolic blood pressure. They were preferred to receive intensive treatment to lower their blood pressure with the goal of lowering the systolic level of <140 mmHg within 1 hour or a guideline-recommended treatment with a goal of systolic level of <180 mmHg. The primary outcome was death or major disability, which was described as a score of 3 to 6 on the modified Rankin scale (a score of 0 indicates no symptoms, a score of 5 indicates severe disability, and a score of 6 indicates death) at 90 days. A pre-specified ordinal analysis of the modified Rankin score was also performed as well as the rate of severe adverse events was compared between the two groups. Among the 2794 participants for whom the primary outcome could be determined, 719 of 1382 participants (52.0%) receiving intensive treatment, as compared with 785 of 1412 (55.6%) receiving guideline-recommended treatment, had a primary outcome event.). Mortality was 11.9% in the group receiving intensive treatment and 12.0% in the group receiving guideline-recommended treatment. Non-fatal serious adverse events occurred in 23.3% and 23.6% of the patients in the two groups, respectively. In conclusion, in patients with intra-cerebral hemorrhage, intensive lowering of blood pressure is not effective to significantly reduce the rate of the primary outcome of death or severe disability. However, an ordinal analysis of modified Rankin scores indicated improved functional outcomes with intensive lowering of blood pressure.